These silver 2 piece metal plastisol lids are sold in different options for convenience. The first piece is a threaded band that will screw tightly to 70 mm glass jars. 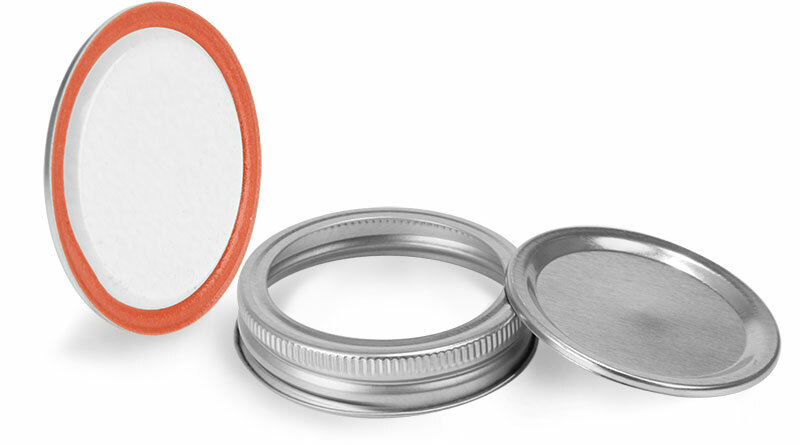 The second piece is the plastisol lid that creates a hermetic seal when properly heated and cooled. The threaded band can easily be used repeatedly, whereas the plastisol lid is a one use piece. Purchase each piece separately, or together, and click the Add-Ons for the array of 70 mm glass jars that are compatible.